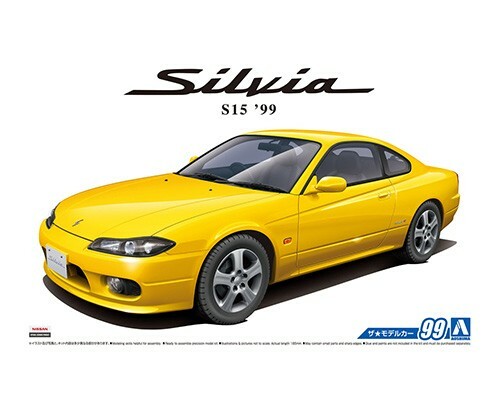 The 7th generation Silvia, S15 series was released in January 1999 as a full model change from the previous S14. 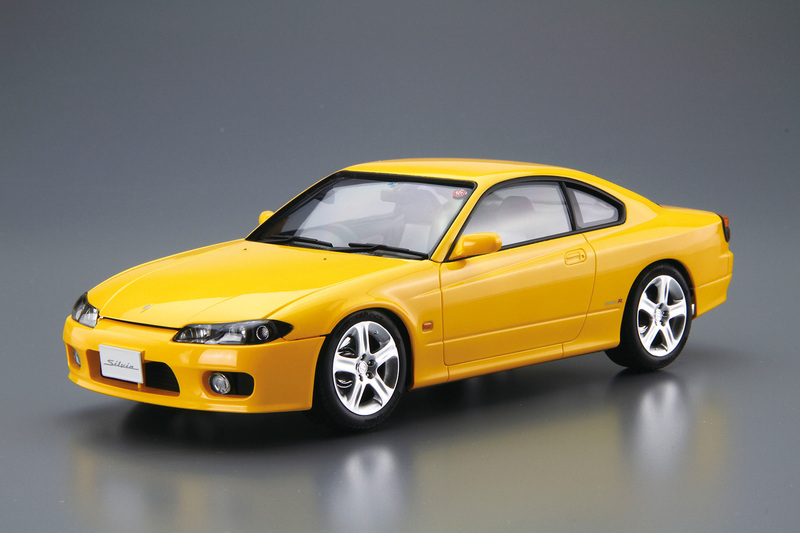 The concept of S15 was to enhance sports driving characteristic. As a result, the body was down-sized and output of the SR20DET engine was increased to 250 PS. The newly introduced 6-speed MT draws fans even today. 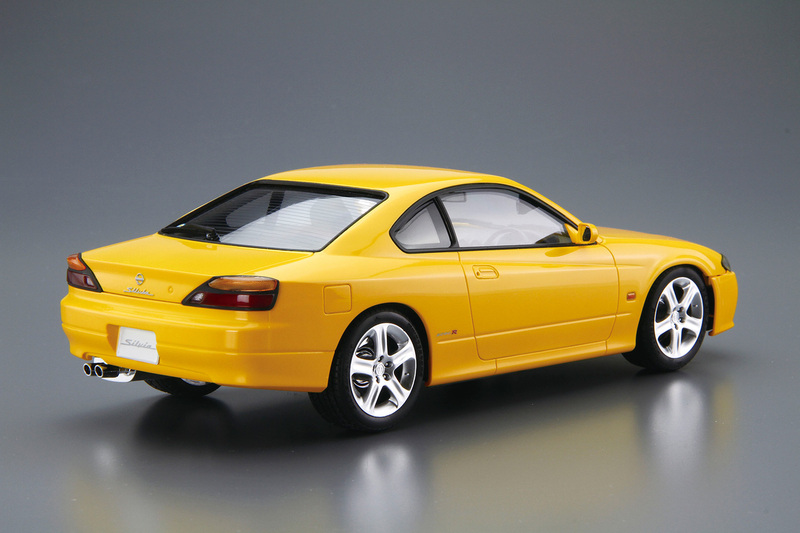 This kit replicates the S15 Silvia Spec. R in its catalog specifications. The kit includes genuine full aero parts, genuine aluminum wheels and sports muffler. Also with window masking seal and Spec. R/Autech version decals includes, you are able the build the S15 Silvia of your preference.